Butrint – This ancient site was a city through the Roman, Greek, Byzantine and Bishopric periods. Today it has become a UNESCO World Heritage site and includes a Roman temple, Byzantine Basilica and a well preserved Roman amphitheatre. 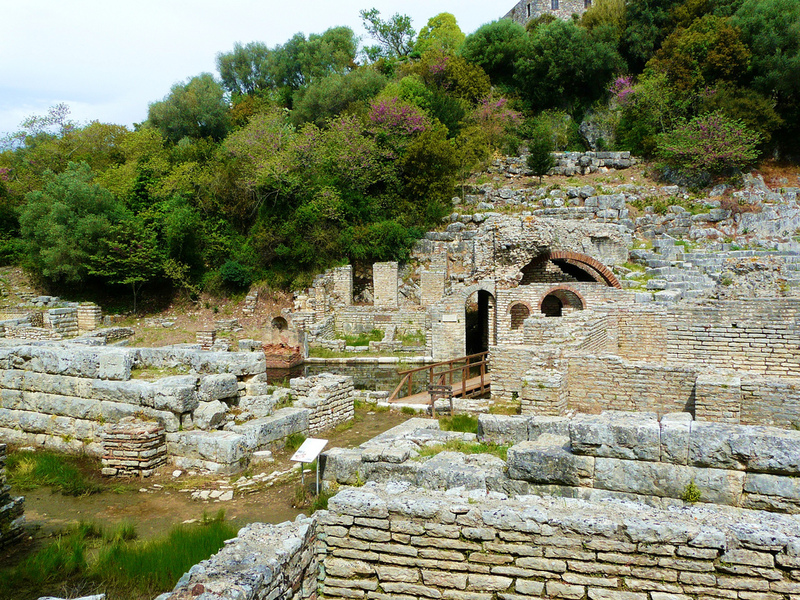 Several public buses a day go to Butrint, get them from the main square or outside the big Butrinti hotel on the eastern waterfront. 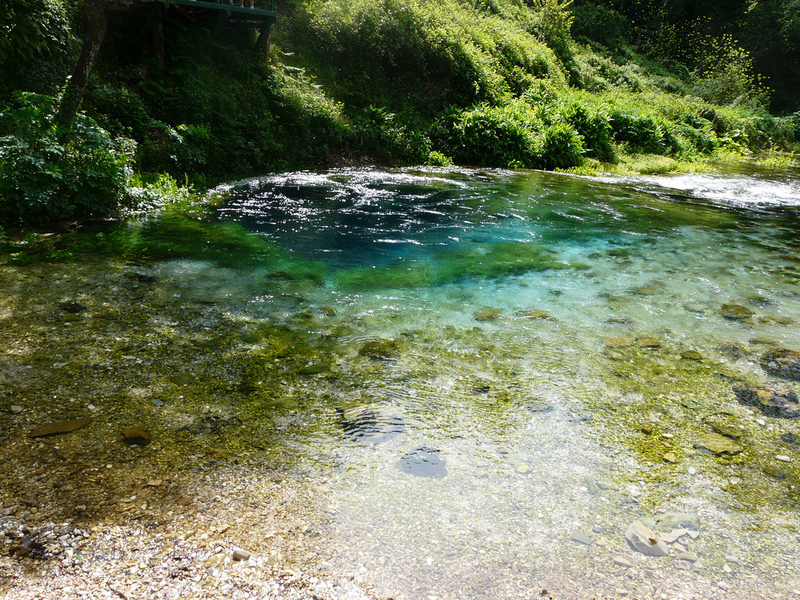 Blue Eye Spring (Syri i kalter) – is a hypnotic natural spring located off the main road between Gjirokastër and Saranda, about 3 km after the sign for ‘Tourist Attraction’. The short road to the sight curves around a lake and the view is quite scenic. The place is wonderful for having a picnic or enjoying the lunch at the restaurant nearby. 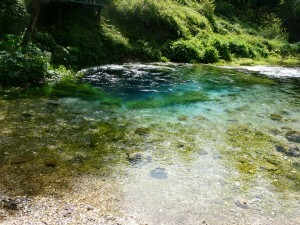 To go there you can take an early minibus from Gjirokastra or Saranda and ask to be dropped off at the Blue Eye road – it’s a 10min walk from the main road. To go back just go in the place the first bus dropped you and flag down a bus again. 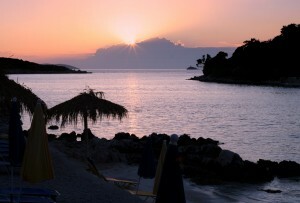 Ksamili beaches – Ksamili is situated around 50 mins away from Saranda. 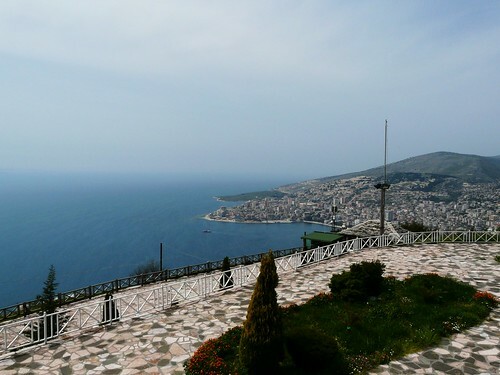 There are frequent buses that leave from Saranda to Ksamil during the day. In Ksamil you can take the boat to one of the islands, try the fresh fish from the beach restaurants or take the ferry to Corfu.